The new album of Andrew Lagowski’s S.E.T.I. begins as a colossal sound wall, like a massive electrical transformer, out of which analogue and digital synthesizer sounds and samples emerge, condense, and crossfade into a deep ambient symphony. The recordings and textures produced over 30 years from 1983-2013 converge in ‚Final Trajectory‘ to produce a collection of monolithic sounds. Invoking a sense of immensity with warm and dark atmospheric loops sounding distant and abandoned in a vast wilderness, battling against galactic winds. 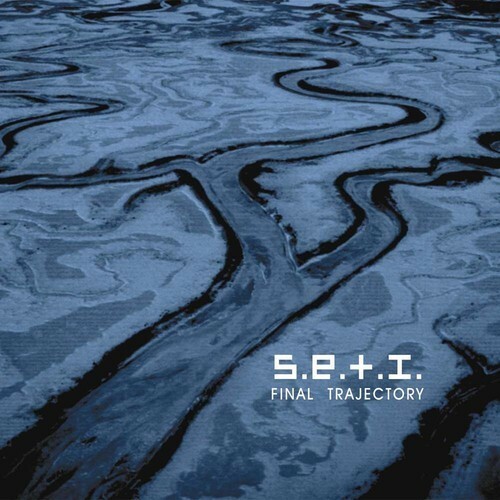 S.E.T.I. sets the listener down in this wilderness as an isolated observer; a witness to long intertwining drones, shattered dialogue and broken transmissions, with superior effects chains and a gentle rising dramaturgy forcing the complete album to an astonishing pure data vortex.